I need to be treated for this antenna addiction. This is a 40m QRP Carolina Windom. I built a mini 4:1 balun with a 4" scrap ferrite rod and some 20ga. 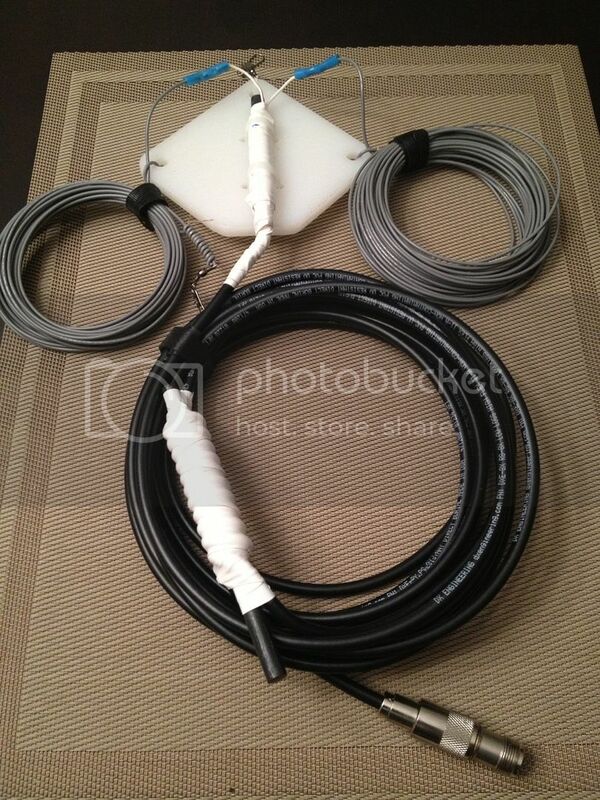 solid zip cord, and a line isolator from another 5/16" x 6" ferrite rod with 10 wraps of RG-8X. It's cobbled together with scraps around the shack, and after running it up in a tree to try it out last evening about 6 pm, I made contacts in Germany, Austria, Hungary and Bosnia...all on 5 watts QRP from the go-box in the back yard.